As America’s shortsighted experimentation with European-style immigration policies evolves, the body count for this indulgence continues to rise. Incidents where an illegal alien’s actions, whether deliberate or through drug- or alcohol-fueled negligence, have resulted in the loss of innocent life have become so frequent that many now seem to dismiss them as an unavoidable part of life in the 21st century. The rest of us continue to hit the alarms and hope our leaders will finally act. One of the most toxic and deadly embodiments of this anti-borders ethos has been the proliferation of sanctuary policies throughout the land. In a community near you—and probably yours as well—dangerous criminal aliens are routinely avoiding deportation. Governors, mayors, and city council members congratulate themselves for their compassion in championing sanctuary policies. Of course, they and their families will likely be protected against the negative consequences of their generosity. You and your family, on the other hand, are on your own. In addition to putting American citizens’ lives in danger, sanctuary policies are steadily eroding the foundations of our society. Denver is just the latest example. There, the story was all too familiar. 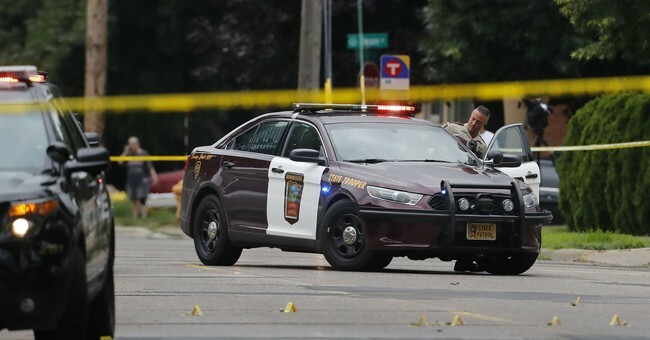 An illegal alien, Ivan Gerardo Zamarripa-Castaneda, was charged with vehicular homicide and driving under the influence in a hit-and-run crash that killed a truck driver. Not only did the Denver Sheriff Department (DSD) refuse to honor a detainer request from U.S. Immigration and Customs Enforcement (ICE), it didn’t even notify ICE of Zamarripa-Castaneda’s release, as is the typical practice. Thanks to a request from the Immigration Reform Law Institute’s (IRLI) investigations department under the Colorado Open Records Act, it was revealed that DSD revised their policy after the incident. After admitting that its officers should have notified ICE of the release, DSD doubled down on the sanctuary philosophy. The department will not detain any individual beyond the date and time when an inmate is eligible for release solely on the basis of a civil immigration detainer, but will continue to honor criminal warrants issued by a federal judge or magistrate. Also, the only notification to ICE after they receive a detainer is to fax ICE a stamped notification of the inmate’s eligibility for release. That another major metropolitan area is now a full-blown sanctuary city is not particularly newsworthy anymore. Comments from those on the ground in Denver, however, were revealing. Michael Britton, a spokesman for the local police union, spoke about how after new training last year on how to handle detainer requests, most deputies were left with the impression not to help ICE and some fear being terminated if they’re seen as being too cooperative with the federal agency. This is beyond disturbing. It’s bad enough that American citizens are decidedly less safe in their communities as a result of irresponsible and politically-motivated sanctuary policies. It’s even worse that these policies cause our local law enforcement officers to do their jobs in a state of fear and confusion. At IRLI, we have received feedback that many police officers are highly conflicted about these sanctuary policies. They want to keep their communities safe, which includes keeping dangerous criminals off the streets and complying with federal immigration officers in accordance with the supremacy clause of the Constitution. They also need to support their own families, and fear for their jobs under pressure from supervisors and city leaders to follow sanctuary policies. Being a police officer is hard enough. It is grossly unfair to the men and women in blue to force them to choose between their paychecks and their principles. Maybe when the tragic consequences of sanctuary policies reach a point of critical mass, the American public will demand that their leaders reverse course. Until then, the loss of innocent life will continue, as will the state of conflict in which our police officers are forced to operate. That should be unacceptable on both counts.